Welcome to WWW.SANTACCTV.CO.UK, the Worlds No.1 home Santa Cam recording system, Santa-Cam Tracking system for Christmas 2018. Record Santa Claus on Video in your own home this Christmas or Watch him on Santa Cam. Order your unique Home Santa Cam Video of Santa Claus in your home today. Bring a little extra magic to Christmas 2018. Welcome to Santa Cam CCTV the Worlds number one in-house Santa-Cam digital Surveillance system for your home! If you already own a Santa Cam, but need the actuall footage of Santa visiting your home our experts can bring it to life for you. Have you ever wondered what Santa's been doing whilst in your home? Well, now there's a system, a Magic Santa-Cam system that will show you exactly what he's been up to. Your kids will be in amazement Christmas Morning when you login to our online system and see what Santa's been doing in your home, Live on digital Santa-Cam. Its Very simple.... We require 5 photos of your home. You can do this using a phone or a digital camera. We recommend a photo of outside, a photo of the lounge, kitchen and stairs/Hallway, but it's totally upto you which parts you use. Please do not submit bedroom photos or any photos with people or pets. Once we've received your photos our technical wizards, using the magic of green screen digital technology and a little Christmas magic turn your home photos into authentic LIVE CCTV video footage with Santa Claus super imposed into them. Santa Claus will literally appear on Santa-Cam walking around your house! On Christmas morning login to our secure system (you will receive login details when you upload your photos) and view your Santa Cam footage! Order Early to avoid Disappointment. We are now taking Santa-Cam Video bookings for Christmas 2019. 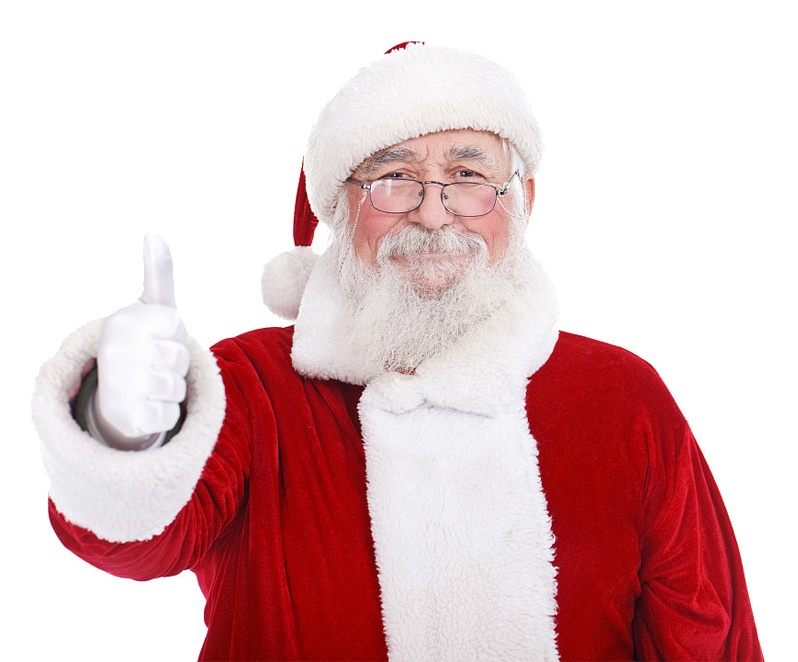 We offer a Green Screen Technology 2 minute home Santa Claus Surveillance video for just £9.99. Check out our demo video below. Bring a little extra Magic to Christmas 2019! Just how does he manage to get around the world fast enough to visit 366 million homes in time for Christmas morning? / Alamy 'Maybe Santa has tapped into ways of jumping in and out of different dimensions'. Santa Claus made a shock visit the meet Her Majesty Queen Elizabeth this week at Windsor Castle in Berkshire. Santa Claus has offically applied for his NIE Number in Spain so he can legally continue to deliver presents in the Country.